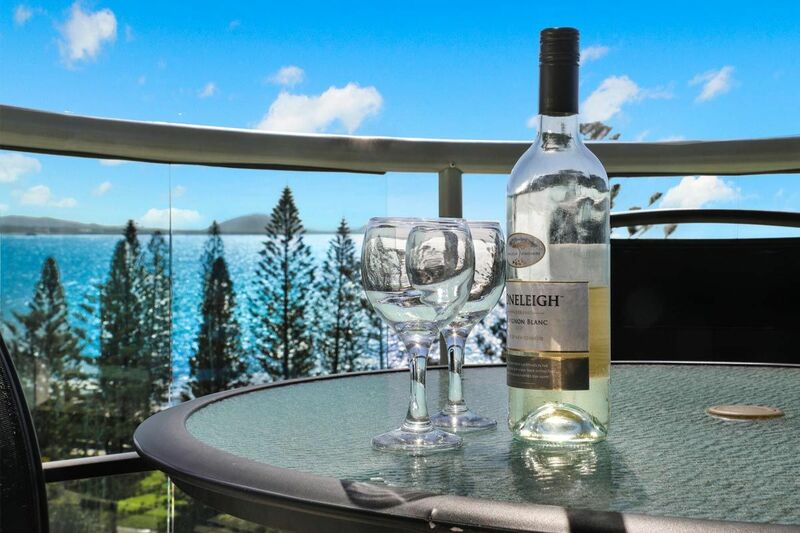 Direct Ocean View from your private balcony, perfect for that couples escape. The 1 bedroom apartments enjoy ocean views from the private balcony making it perfect for that couples escape. These apartments feature full kitchen facilities including dishwasher, oven, fridge freezer and laundry with washer and dryer. 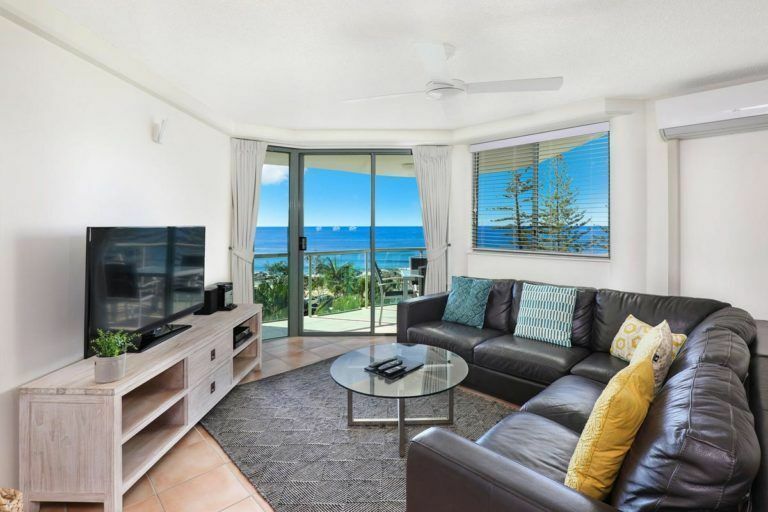 The dining and lounge room feature tv with Foxtel channels which include movies, sport, music, kids channels and documentaries, as well as a DVD player to watch all the latest movie rentals. 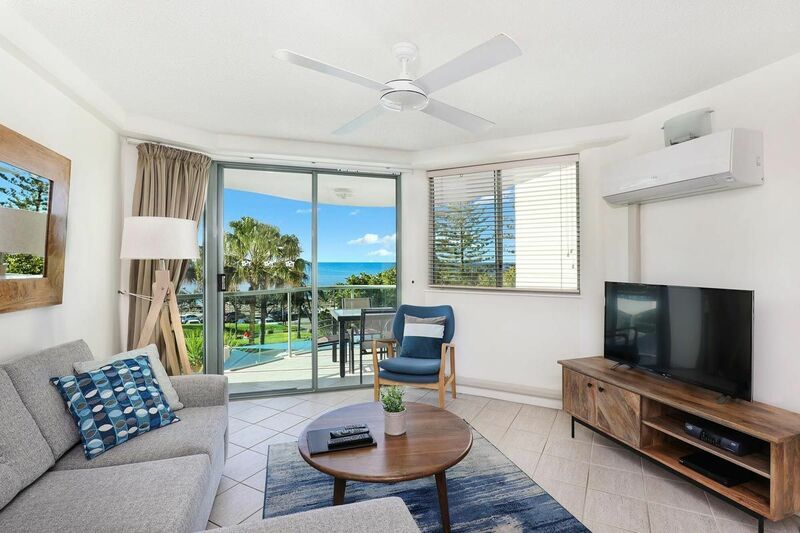 You will be comfortable with an air conditioner in the lounge room and sliding doors and numerous windows to let in the cooling sea breeze. 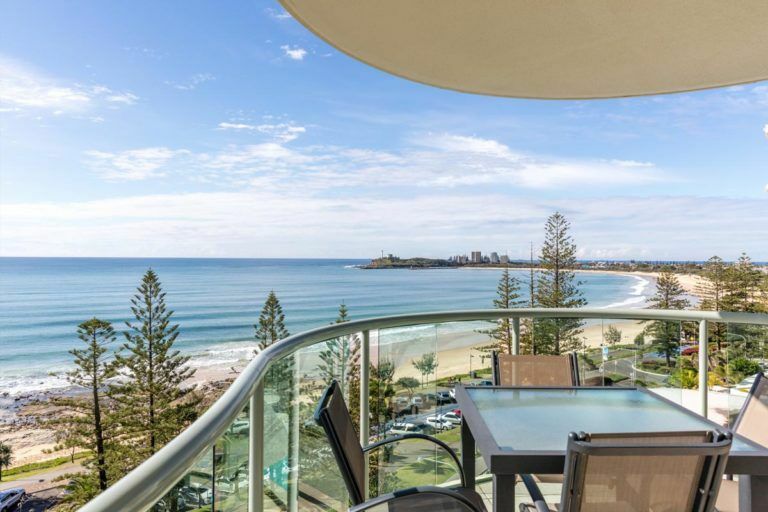 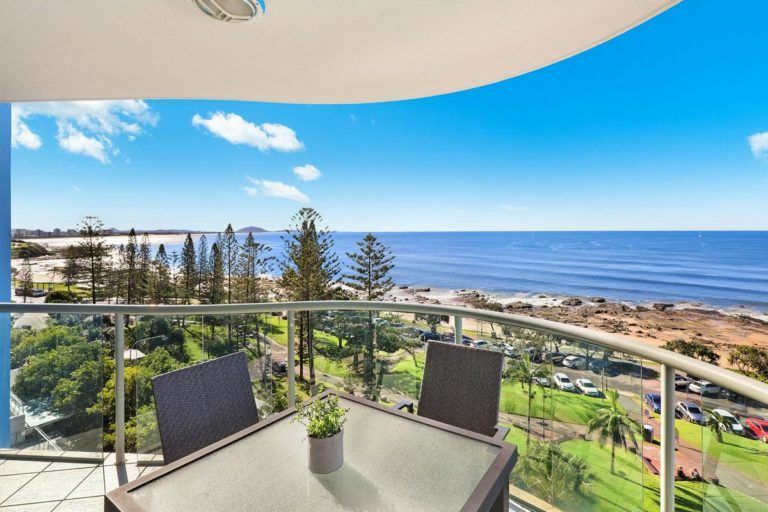 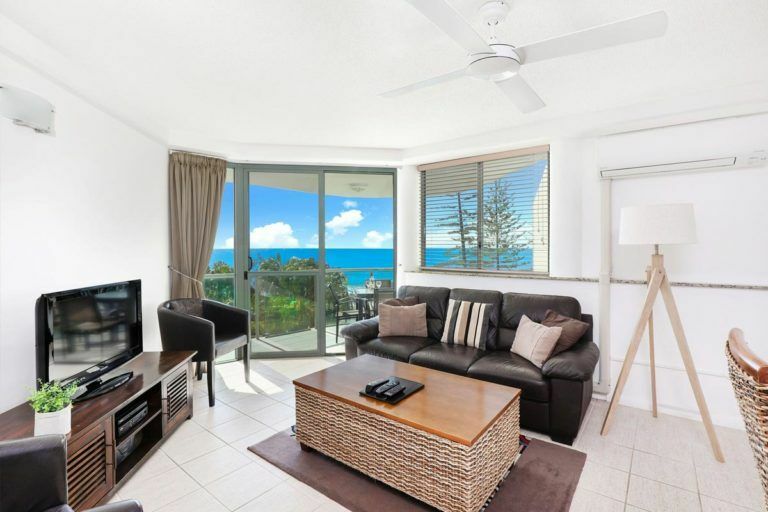 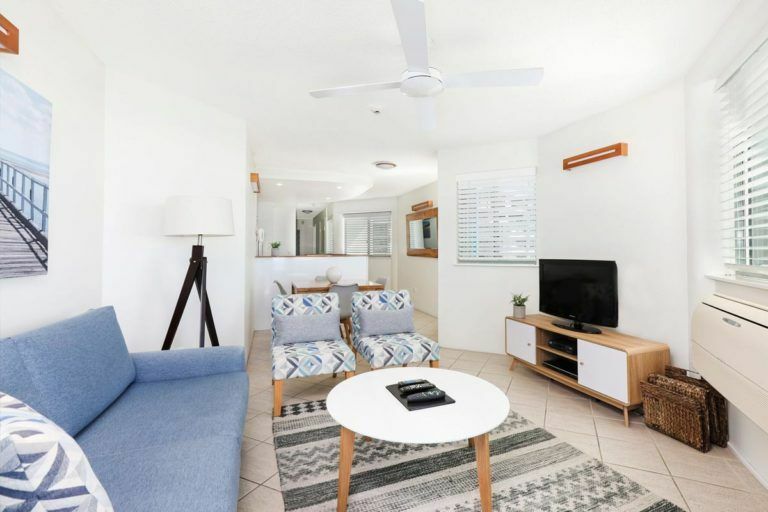 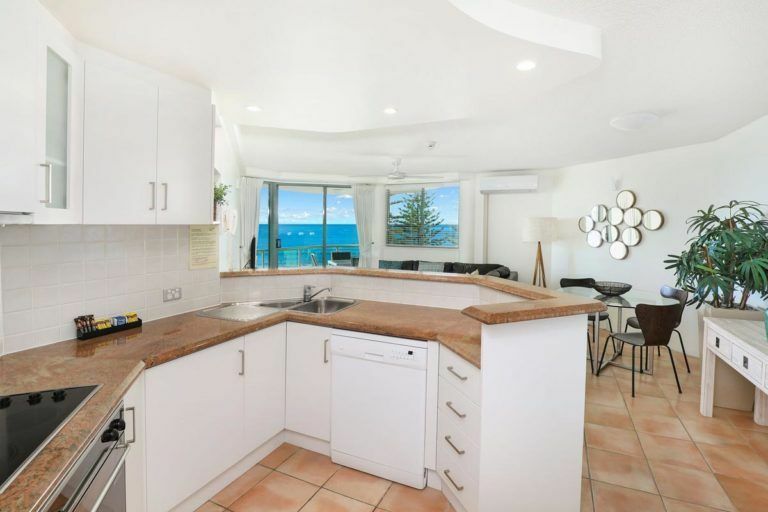 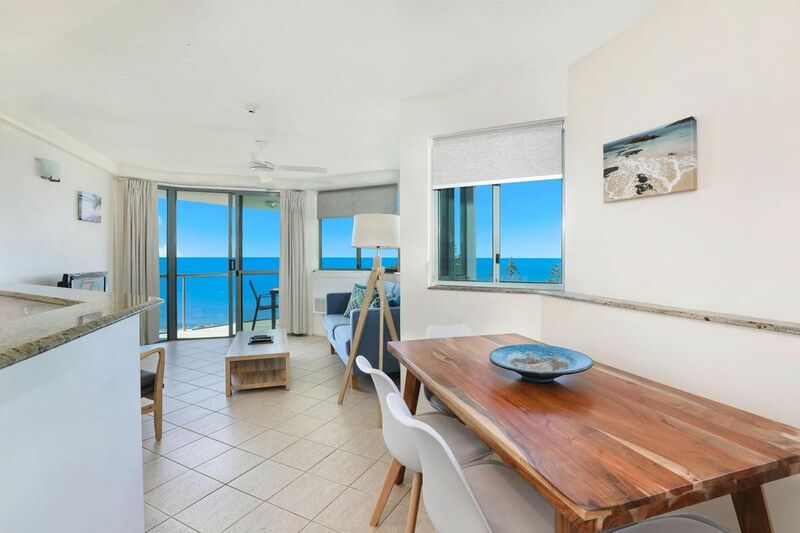 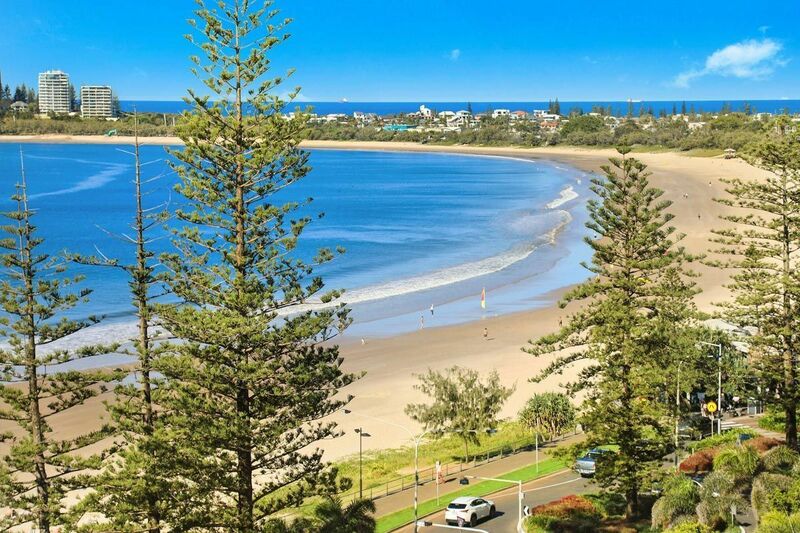 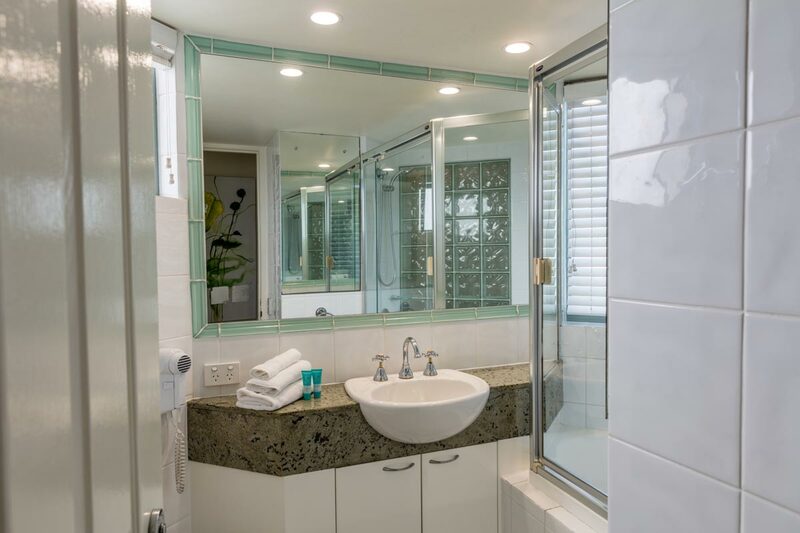 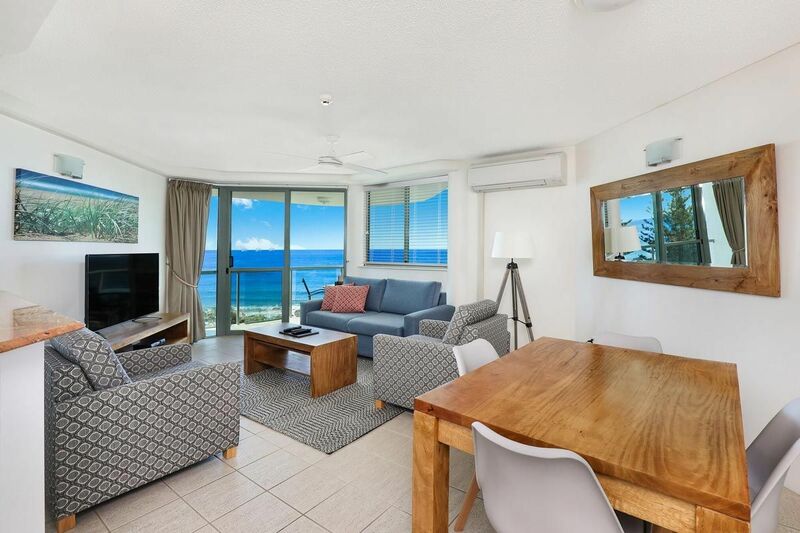 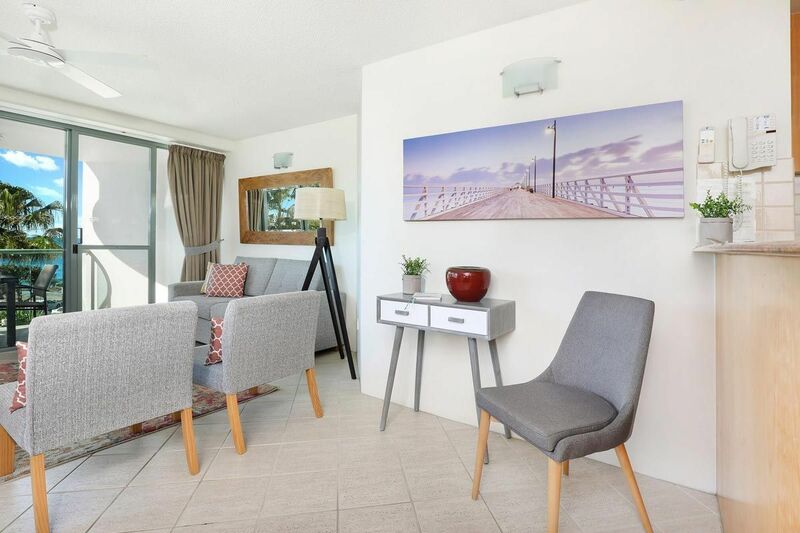 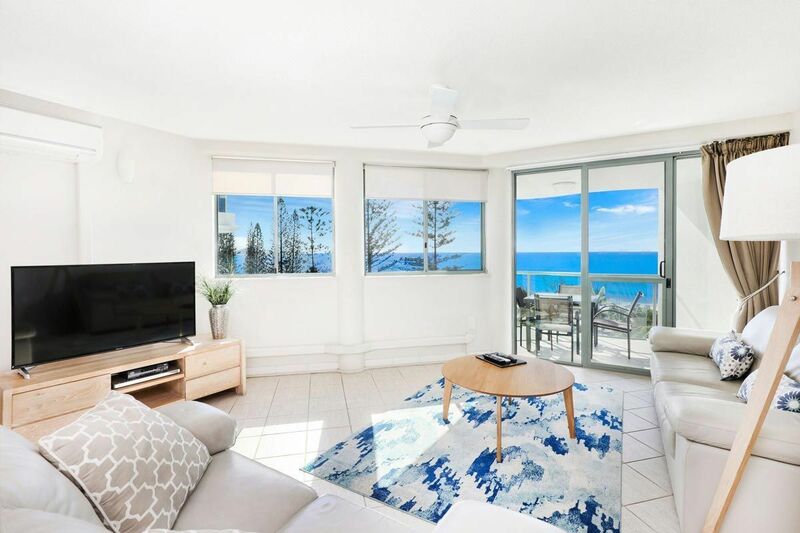 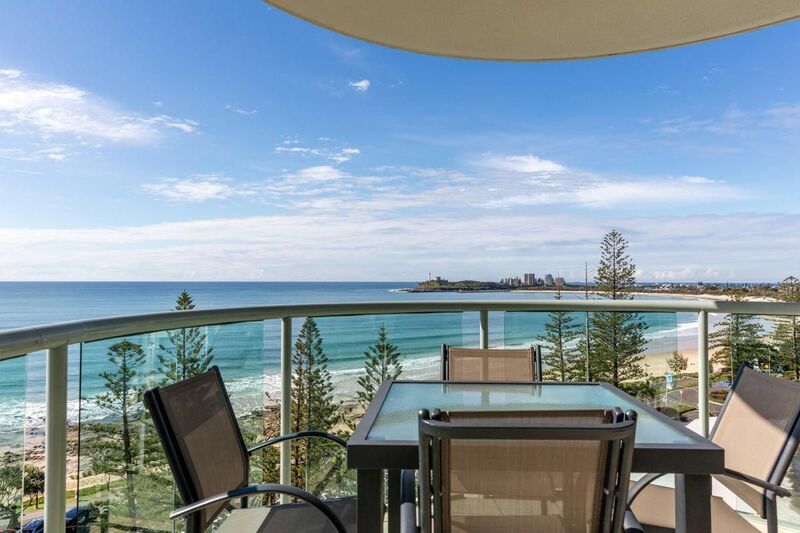 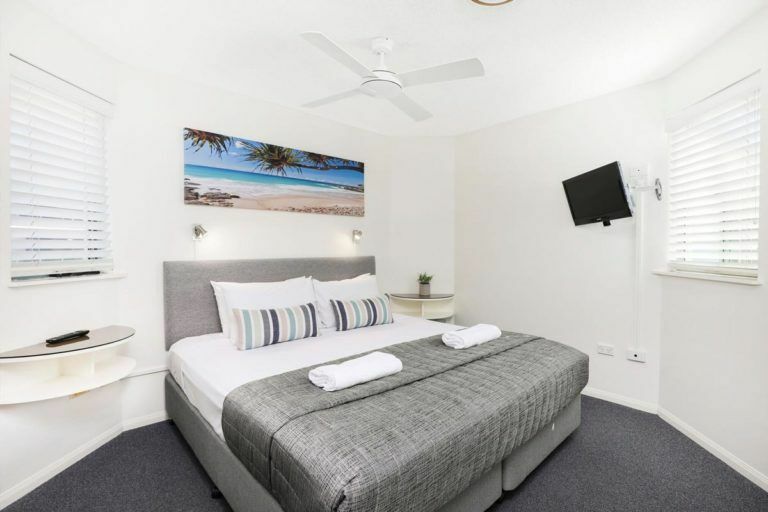 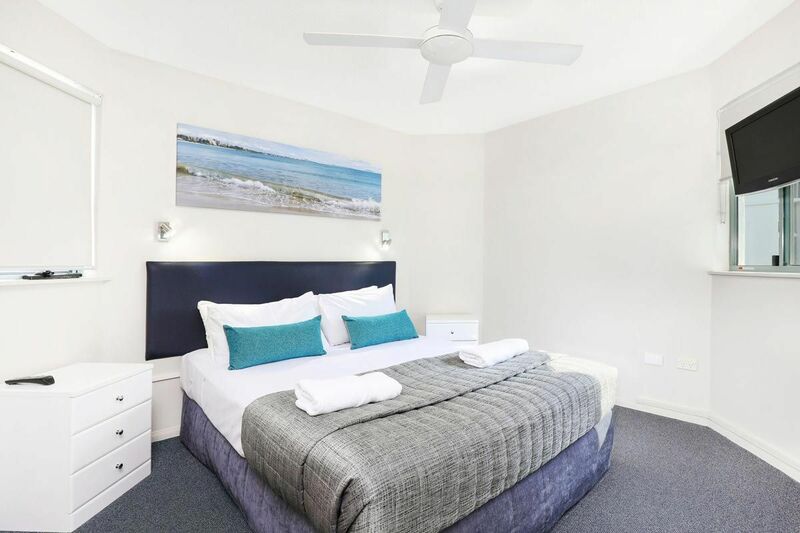 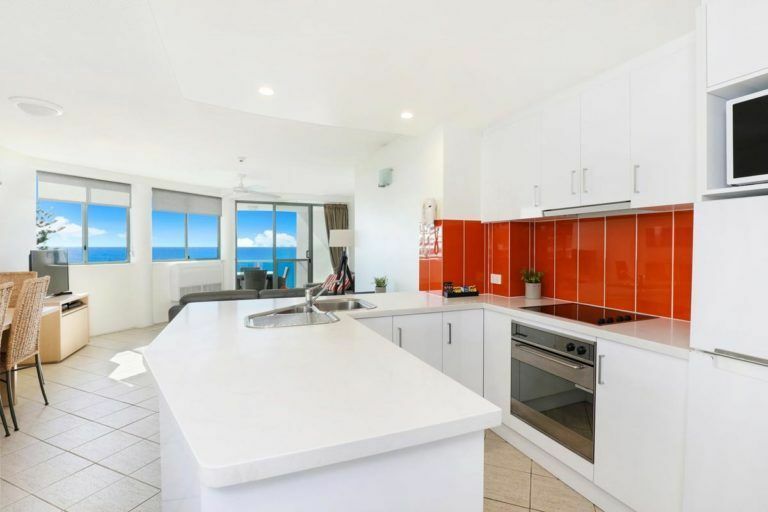 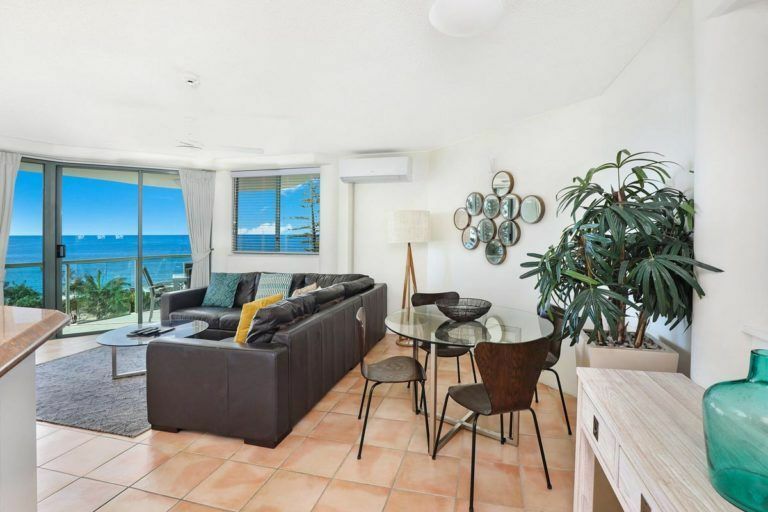 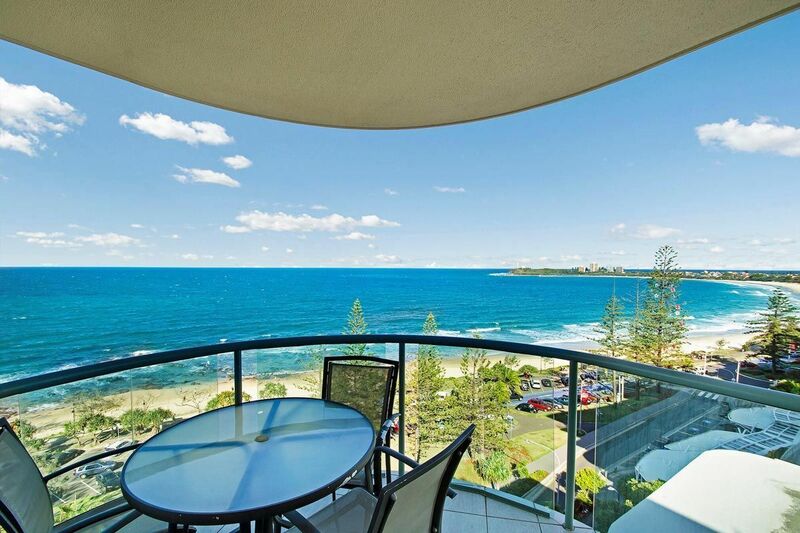 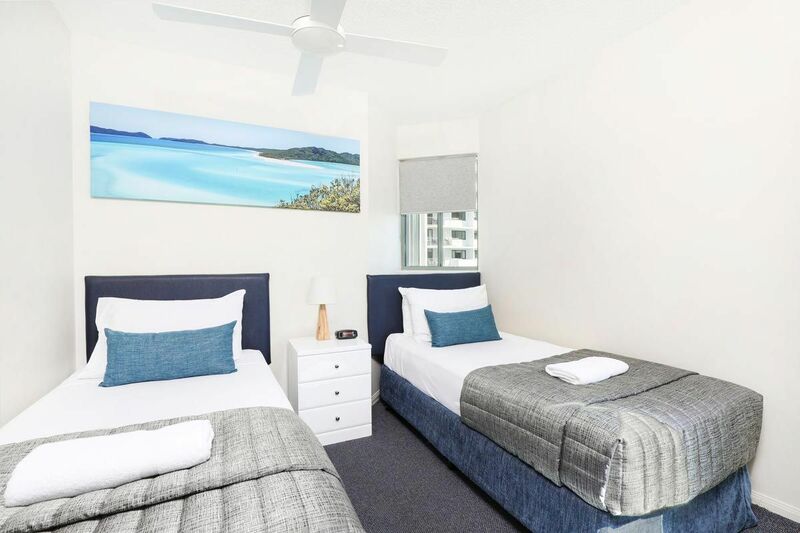 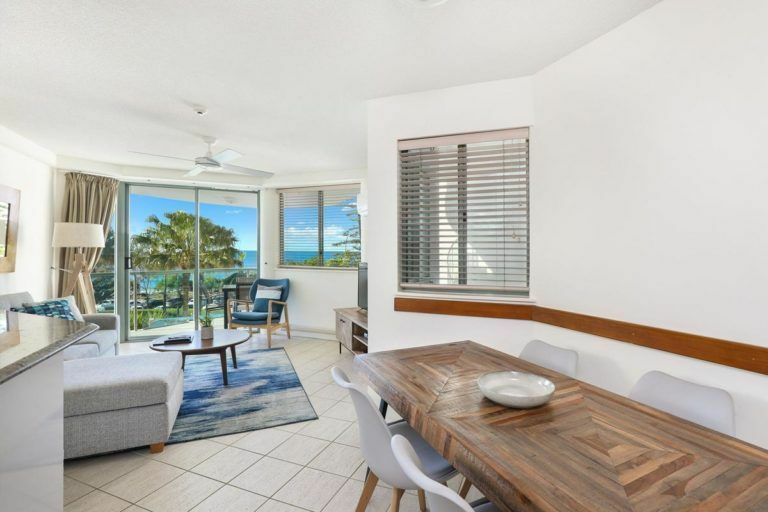 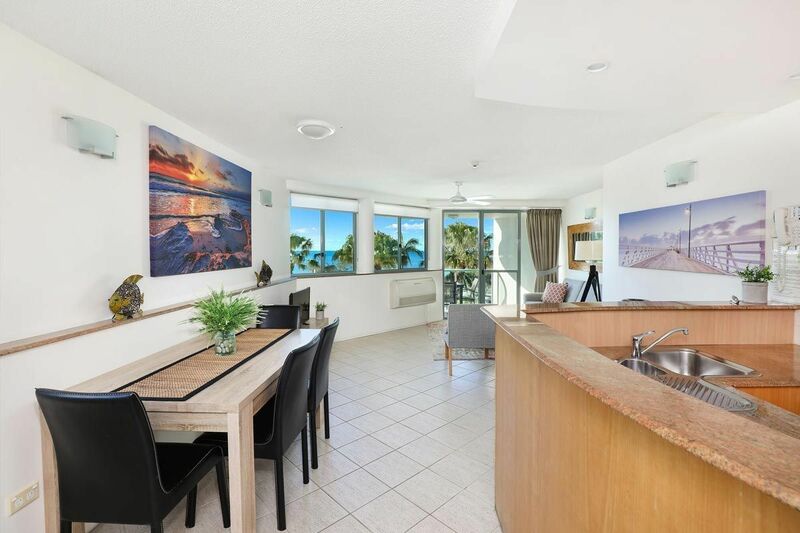 Why cook when there is just the two of you as there are amble dining options at your fingertips with Mooloolaba Esplanade home to a number of cafes and restaurants. The local Coles supermarket is also a short walk away. 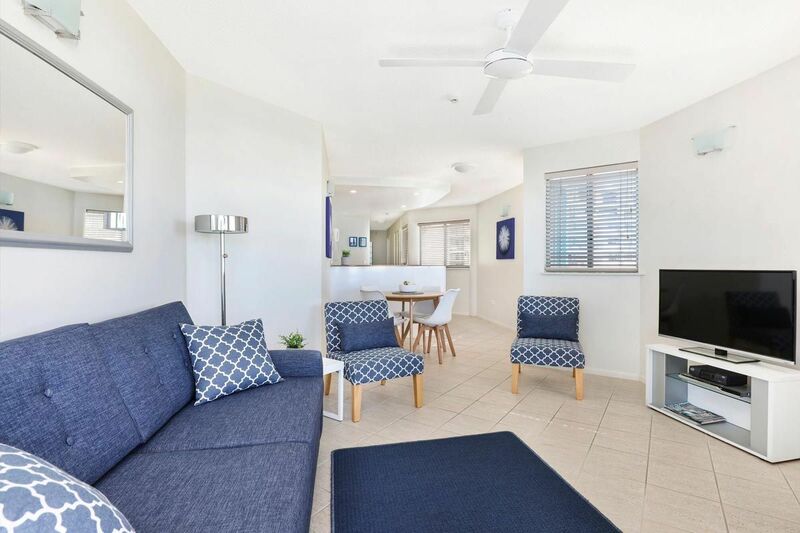 (Please note that our 1 Bedroom Apartments are a 2 Bedroom Apartment closed down).